In this post, I have described the basic recommendation for successfully practicing any Vashikaran Prayog, including a Mantra, Tantra or Bina Mantra Ka Vashikaran Prayog. These are the basic guidelines and will be not be applicable if there are specific prescriptions or Puja- Vidhi recommended for the Vashikaran Sadhana. The best season for practicing Vashikaran Tantra: Vasant or Basant Ritu, which corresponds to the Spring Season is the season during which chances of success in a Vashikaran Experiment are the greatest. The best timing for Vashikaran Sadhana: The first part of the day or morning time is the most effective period of the day for conducting Vashikaran Sadhanas. The best Nakshatras for Vashikaran Experiments: Mrigasira, Revati, Chitra, Vishakha and Kritika or your Rashi Nakshatra are the most effective Nakshatras. If the attraction experiment is practiced during the period the chances of getting success are the brightest. Aasan for Vashikaran Experiments: Using a sitting mat, prepared using goat skin is considered to be most beneficial. Pose: Sitting in the Yogic Pose of Swastikasana is recommended for Vashikaran Sadhanas. Best colors for Vashikaran: The color red is believed to be the most effective color, wearing red colored clothes, offering red colored flowers, meditating upon the red color and offering red colored items to the Havan are considered to enhance the chances of success in a Vashikaran Prayog. 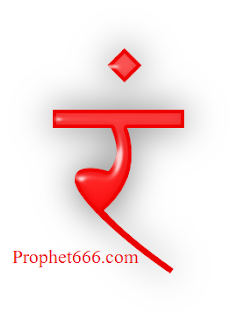 Vashikaran Mantra: Most Vashikaran Mantras end with the word Swaha- स्वाहा. Mandala: The Ram – रं Beej is drawn using a specific red colored item, inside a red colored triangle. The specific item or items depend upon the recommendations given for different Sadhanas. Note- These are the general prescriptions as per the Vashikaran Tantra and will not apply, if a specific Vidhi has been prescribed. वशीकरण प्रयोग के लिए वसंत ऋतू श्रेष्ठ बतायी है .एक अहोरात्र में प्रतिदिन ६ ऋतुएं होती हैं .